Disclaimer: This is the first episode of the three part series on why blogging. Do you know that there are over 86 million blogs on the Internet? Sounds Amazing, isn’t it? So, does this give you some motivation to start the blog? No! Still confused on whether you should or shouldn’t blog or why rather do it? It has been more than 7 years when I started my first blog on blogger.com. So, let us see why it is important for YOU to write a blog. First, let us see what is a blog? A blog is a regularly updated website or web page, typically one run by an individual or small group, that is written in an informal or conversational style. 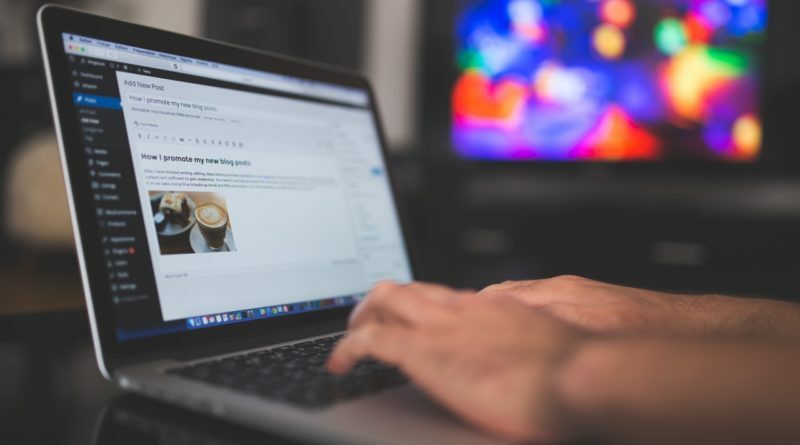 A blog is not just meant to promote a business or a product only, but it can also be used as a mode to promote yourself personally, professionally, and financially. I recommend almost everyone whom I meet or talk that they should blog more than often. Blogging is not just meant as a hobby, but it is also a great tool for personal branding. Having a blog helps you to establish yourself as an expert or authority in your area or field in which you belong to. When you write about a certain topic that is relevant to your audience, it gives a level of command to yourself. In addition, your audience starts to feel about the knowledge you have related to the topic. Blogging can help in converting the traffic into leads and then you can convert the leads to your potential customers or clients. Blogging is a good way to meet new people online whether it through comments, emails, or social media. This helps you to create relationships that seek to serve one another. The entire blogging community is responsive, inspiring, and supportive—only thing that is missing is YOU. According to the “1 percent rule”, there are only 1 percent of the people who actually create new content on Internet while the other 99% simply view it. By blogging, you separate yourself from that 99% of the people who do not blog. It gives you an opportunity to stand out from the crowd. This is very important in this highly competitive economy. Blogging helps you to share your knowledge and expertise to those who need the most. You can even help people with specific problems. Let’s say you have a blog on finance. There are various people who are looking for financial related queries. Your knowledge and advice could prove to be essential and helpful to those people. It’s really heart whelming when you receive an email from people saying that your blog proved to be very helpful to them. When you write a blog, you voice your opinion on anything that is disturbing. This means you can spread all the things you like or dislike, and it could mean a lot as it may bring a change in this world. Practice makes man perfect! Blogging helps you to become a better writer because the more you write, the better you will become each day. And, I really can say with my own personal experience as it had an impact on my own writing skills. In addition, blogging helps you to increase your confidence as a writer. As they say, writing just like any other form of communication improves by practice—and this will help you in turn for the rest of your life. Do you know that if you start writing a blog today then it may help you to become a better person next day? Why? As we mentioned earlier, it helps you to improve your writing and communication skills. In addition, it will make you to think more deliberately about who you are and who you want to become.